1. On Thursday Sept 18/14, the Rifle Team will begin it's meetings. They will run from 1830 - 2030 hrs on Thursday nights. All cadets are welcome. New and old cadets as well as the rifle team itself. 2. 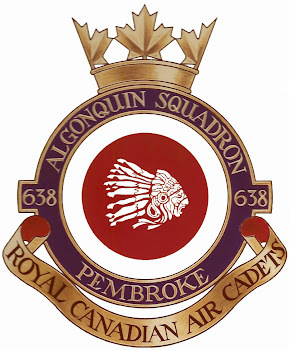 The Squadron will be running band practices with the Army Cadets on Thursday nights beginning Thursday Sept 18/14. These run from 1800 - 2100 hrs. The practices are open to all interested cadets. If you have your instrument, please bring it with you. Please check in with Capt Duchene in the office upon arrival. 3. Drill team will meet on Mondays at the Armoury from 1830 - 2030 hrs. All cadets are welcomed and encouraged to attend. This team will meet on Mondays for the entire year. Any changes to this can be found weekly here.